A close friend of mine spent almost her whole life as a homemaker. When her last child left home, she launched a successful career and exciting new life. Then cancer struck. Soon afterward, she died. My friend's tragedy is only the most dramatic example of the ways cancer has touched my life. Three relatives, several colleagues, a student and a neighbor have all been stricken with the disease. According to the American Cancer Society, American men face a one in two lifetime risk of developing cancer. Women have a one in three risk. To make Americans aware of psychology's value, I've made getting the word out about psychologists' role in cancer treatment a priority during my term as president of the American Psychological Association. Learn all you can. You never know when you or someone close to you will need a psychologist's help to cope with this as yet incurable disease. Kip Little was supposed to die a decade ago. When she was diagnosed with breast cancer in 1986, she was stunned. "I spent my lunch hours working out. I ate good things. I was a health nut,"--says Little, a former high-school counselor and physical education teacher in a Toronto suburb. "How could this happen to me?" Following her mastectomy, a chance encounter led Little to a psychologist at the Ontario Cancer Institute. Working with him and other breast cancer patients, she transformed her life. Together they met weekly to discuss their feelings, learn meditation and other relaxation techniques, and explore ways of coping with grief, depression, pain and fear. Finding the program was a lifesaver, says Little, now a 60-year-old retiree in Burlington, Ontario. "It was the skills I learned that got me through--and continue to get me through," she says. When her cancer returned in 1990, a physician gave her only three months or so to live. She rejected further physical treatment and instead intensified her practice of meditation and similar activities targeting her mental state. Today she's cancer-free. Like Little, most people don't automatically associate psychology with cancer treatment. But they should. While psychologists can obviously help patients cope with the devastation of a potentially life-threatening diagnosis, their role often goes far beyond that. 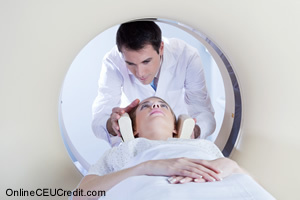 Psychologists teach patients how to endure the often difficult treatments that may represent their only chance at life. They improve patients' quality of life and help family members cope. As Kip Little's story illustrates, psychologists may even help extend patients' lives beyond conventional medicine's greatest hopes. Psychiatrist David Spiegel, M.D., of the Stanford University School of Medicine, launched the debate about whether psychological interventions can lengthen lives in 1989, when he published a now-classic paper describing his work with breast cancer patients. In the study, patients came together in weekly group therapy sessions to express their feelings about cancer and receive support from fellow victims. When Spiegel followed up a decade later, he discovered that patients who had participated in the sessions had survived an average of 18 months longer than those in the control group. Years of controversy have followed, with researchers trying--with mixed results--to replicate Spiegel's findings. Now the psychologist who treated Kip Little believes he has the first real evidence that psychological interventions can indeed prolong lives. Like many others, Alastair J. Cunningham, Ph.D., senior scientist at the Ontario Cancer Institute, has spent years trying to determine group therapy's actual impact. At first, he had little luck. Using an intervention he calls "Spiegelplus," Cunningham led 30 women with metastatic breast cancer through nine months of weekly group therapy. Patients also completed assignments such as attending religious services. An addition al 36 patients received a workbook and audiotapes designed to teach them relaxation and mental imaging. To his disappointment, Cunningham could detect no difference in survival rates between the two groups when he checked five years later. Then Cunningham realized that a randomized study wasn't the right approach. Although randomized studies are the gold standard of scientific inquiry, they hide individuals and their behavior behind general findings. To find out how his intervention affected individuals, Cunningham substituted a correlative design for a study of 22 patients with various kinds of supposedly incurable cancer. After asking experts to predict each patient's life-span, Cunningham and his team painstakingly gathered data on each participant's attitudes and behaviors as they participated in an intervention along the lines of the earlier experiment. The result? Cunningham found that patients like Kip Little and other "superstars"--people who worked the hardest at transforming themselves psychologically--lived at least three times longer than predicted. With one or two exceptions, the least active died right on schedule. "It makes sense to me that the people who live longer are those who make substantial psychological changes," says Cunningham. "Of course, only a few do that." Cunningham's soon-to-be-published discovery won't stop the debate about psychological interventions' impact on patients' life spans. Scientists still don't even know how cancer develops. "For years we've been puzzling around the labs trying to figure out what regulates cancer," says Cunningham, noting that the endocrine or immune systems may play a role. "Not much is known yet." What is known is that psychologists can teach patients how to manage their treatment more effectively. "Patients get caught up in the physical aspects of their illness," says Sandra B. Haber, Ph.D., a psychologist in private practice in New York City. "That's understandable. But in dwelling on the medical possibilities and diagnostic procedures, patients tend to minimize the role of their feelings and the role that psychology can play." Haber helps her patients cope with the emotions cancer elicits, which may include terror, depression, or even relief for patients who have been told their malaise was all in their heads. But, Haber insists, it's the other issues she tackles that are even more crucial for cancer patients. For instance, Haber also helps her patients weigh decisions that can be a matter of life or death. She teaches them how to talk more effectively with doctors and get the information they need. She'll even set up "buddy groups" that take on everyday chores patients are too weak to manage. Psychologists can also help patients comply with their treatment regimens, teaching them techniques for managing side effects that may not only affect their quality of life but can actually interfere with their treatment. After all, chemotherapy can't work if a patient can't keep the drugs down. To help patients control nausea and other side effects, Haber teaches patients self-hypnosis and other techniques designed to help them relax. Pain management is especially important. "The experience of pain is very subjective," says Haber. "If you break your leg, it's always going to be painful. But if you're panic-stricken about going to the hospital, that exacerbates the pain." Take Patrick Riordan, for example. Riordan, special assistant to the president of the University of South Florida in Tampa, discovered he had lung cancer in 1998. As he prepared for chemotherapy, a psychologist at the university's H. Lee Moffitt Cancer Center taught him how to use guided imagery to control discomfort. The psychologist quizzed Riordan about places dear to him, then created a tape that allowed Riordan to take a guided trip into a nearby park all in his mind. The cassette became invaluable when Riordan's radiation therapy burned his esophagus. In agony; Riordan was barely able to eat or even swallow. "I could close my eyes and go to this beautiful park with lots of palms, cypresses and alligators," says Riordan, who took the trip so often he could soon go there without the tape's help. "I'd just think about the fact that there was a great chain of ecology that had created that environment over eons, that I was part of it, and that I didn't need to be so focused on my present discomfort." Today Riordan, 54, is in remission. And he's back to putting hot sauce on his pizzas. Patients aren't the only ones who can benefit from psychologists' help. In fact, researcher Laurel L. Northouse, Ph.D., R.N., a professor at the University of Michigan's School of Nursing in Ann Arbor, has discovered that family members are often more distressed than actual patients. In one study, for example, Northouse discovered that spouses of colon cancer patients were more upset than the patients. Northouse also found that husbands of breast cancer patients experience just as much distress as their spouses and have an even harder time coping with their work and family obligations. Yet family members are often overlooked, says Northouse. And their distress can take a toll on patients, warns psychologist Mary Jo Kupst, Ph.D., a professor of pediatrics at the Medical College of Wisconsin in Milwaukee. In research that followed children for a decade after their cancer diagnoses, Kupst found that the best predictor of how well the children fared was how well their parents adjusted to their children's illness. Pediatric oncology wards have done a good job of meeting the needs of what are sometimes called "secondary" patients, says Kupst. Psychologists can help parents manage stress and help siblings overcome fear and feelings of isolation. Some psychologists actually encourage family members to become active participants in patients' care. Using a technique pioneered by William H. Redd, Ph.D., now associate director of the Ruttenberg Cancer Institute at Mount Sinai/New York University Medical Center, psychologists teach worried parents or spouses how to soothe their family members through hypnosis, relaxation or even something as simple as a video game. According to Redd, doing so helps channel relatives' anxiety and makes them feel useful. Kupst used the technique with a 4-year-old patient who was terrified at the prospect of spinal taps and other painful procedures being used to treat his leukemia. Kupst taught his mother to teach her son deep breathing, using bubble blowing and party favors to encourage him to really exhale. "Coaching him gave her a sense of control in a situation in which you don't have a lot of control," says Kupst. "And the boy really enjoyed the party favors, especially blowing them at nurses." The preceding section contained information regarding positive thought as a way of fighting cancer. Write three case study examples regarding how you might use the content of this section in your practice. According to Clay and Suinn, patients that make what kind of changes tend to live longer? Record the letter of the correct answer the CEU Answer Booklet.